First, I'll tell about the robbery our parents committed. Then about the murders, which happened later. The robbery is the more important part, since it served to set my and my sister's lives on the courses they eventually followed. Nothing would make sense with that being told first. 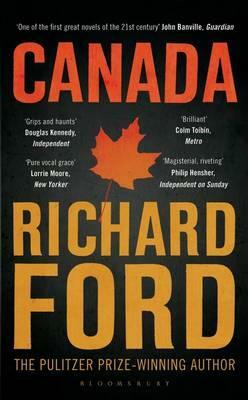 Thus starts Richard Ford's capacious novel Canada. It is about many things, but at the heart of the story is a single act, committed by the central character Dell's parents when he and his twin sister Berner were teenagers. The novel explores how this act defines and warps their lives for ever (the final, very short, section sees the twins movingly though briefly reunited after a lifetime). This is a very American novel about the possibilities of second chances and reinvention (Ford is as sceptical as Fitzgerald in Gatsby). Its title points the way to a central idea - that there might be somewhere else we can escape to. But what Dell finds across the border is no comfort. Ironically, eventually he becomes Canadian and spends his life there, and it is from this perspective that he gives his calm, wise and powerful narrative.